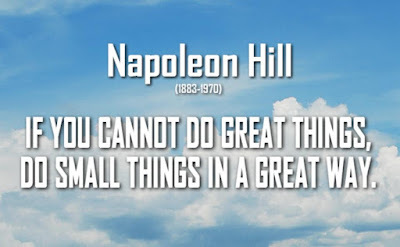 "If you cannot do great things.... Do small things great".... 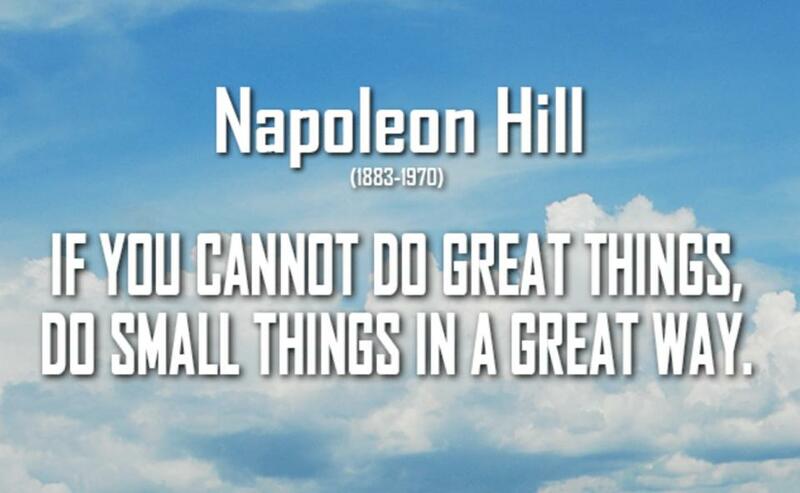 Such an AMAZING quote by Napoleon Hill! It all starts with deciding to become GREAT at those little things we can control right now! 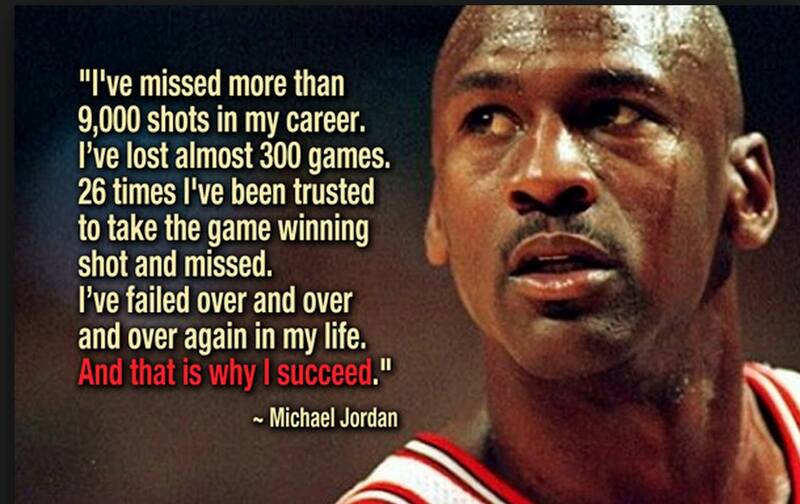 So often we give up so quickly... We fail once and quit.... or we are so afraid of failure that we never get started.... We MUST understand that it is those failures that allow us to truly learn, to truly grow and in turn become truly successful! Fearing failure is to fear learning.... Don't allow that to be you! 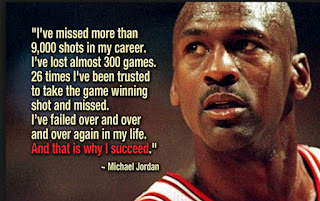 To become successful in this life you will fail at times and these failures become your greatest assets! Go create the life you know you truly want and deserve! Have an amazing week!